In previous articles, we examined the intelligence failures around Operation Barbarossa, the 1941 German invasion of the USSR, from both the German and the Soviet points of view. An important side of the equation that is usually ignored, however, is the Italian contribution to the eventual Soviet success. In the fall of 1936, Italian Dictator Benito Mussolini and German Dictator Adolf Hitler announced a military treaty between their respective nations. From the beginning of this alliance, Hitler was convinced that Italy, a junior partner, could at best be most useful in countering British naval power in the Mediterranean and possibly in threatening Great Britain’s hold on the Suez Canal. From Mussolini’s point of view, the alliance with Nazi Germany entitled Italy to be treated as an equal partner. Mussolini expected the alliance to offer Italy opportunities to develop a Mediterranean empire that would stretch across northwest Africa and westward from Italy across the Adriatic. The annexation of Austria was not actually bloodless, but Austrian resistance collapsed quickly, and Nazi propaganda efforts were somewhat successful in convincing the world that Germany was welcomed by the Austrian people. 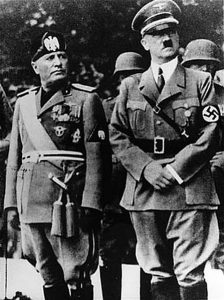 Mussolini was stunned both that Hitler had succeeded so easily in Austria and that Hitler had not consulted, or even forewarned him, of the invasion. On September 29, 1938, France, Italy, Great Britain, and Germany signed the now infamous Munich Agreement, which granted the Western portion of Czechoslovakia to Germany. While in this case Mussolini was consulted, his role was limited to helping bolster the feeble notion that the Munich Agreement was legitimate, given the fact that the Czechs were not consulted at all about how their country would be carved up. In March of 1939, Hitler again surprised Mussolini by granting independence to the Slovakian areas of Czechoslovakia and annexing the remaining portion of that country. By this point, Mussolini was beginning to understand that Hitler had no intention of treating him as an equal partner in their alliance. Mussolini felt that he had to do something to improve his prestige. Without consulting Germany, Italy invaded Albania in April of 1939. Albania had a poorly trained and minimally equipped army of 15,000 men. It was further impeded by the fact that it was already in a state of political turmoil due to tensions between communist, royalist, and democratic nationalist factions. The 100,000 Italian invaders managed a rare Italian victory, installed a puppet government, and declared that Albania was now part of Italy. Hitler saw the Italian annexation of Albania as being a sensible move and was likely informed in advance by his intelligence agencies. From Germany’s point of view, having Italy in control of the entrance of the Adriatic Sea from the Mediterranean supported its long-term strategy for the coming war. In August of 1939, again without consulting his Italian ally, Hitler signed a non-aggression pact with the USSR. Mussolini was angered and embarrassed at having been left out. He would likely have been far angrier if he had known that the pact included a secret agreement for a postwar division of Eastern Europe between Germany and the USSR. The following month, Germany and the USSR invaded and divided Poland. France and Great Britain then declared war against Germany. In April of 1940, Hitler once again went on the warpath and unleashed his army on Denmark and Norway. Denmark fell in a day, and Norway managed to resist until June. 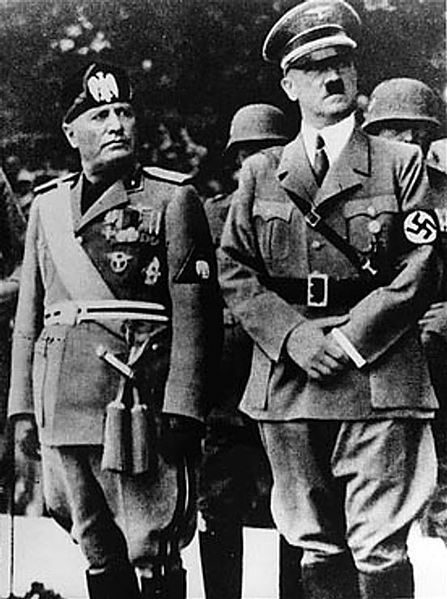 Hitler was quite pleased with himself, while Mussolini was feeling more and more like Hitler’s weaker little brother. Mussolini decided he had to do something to prove that Italy was a modern military powerhouse. He confided to his generals that “to sit at the peace table you have to make war.” This was his way of voicing concern about post war division of spoils between Germany and Italy after what he expected would be a quick war. In September of 1940, Mussolini made his “big move.” He attacked British-occupied Egypt. He did so after prior consultation with Hitler. Unfortunately for Mussolini and Italy, things did not go quite as they expected. The British in Egypt were badly outnumbered both in men and aircraft, but their planes, tanks, and equipment were vastly superior to what the Italians had. The Italian attack on Egypt, which should have been a quick success for Italy, turned into an embarrassing failure. In February of 1941, Hitler had to send German divisions and aircraft to help Italy try to invade Egypt. 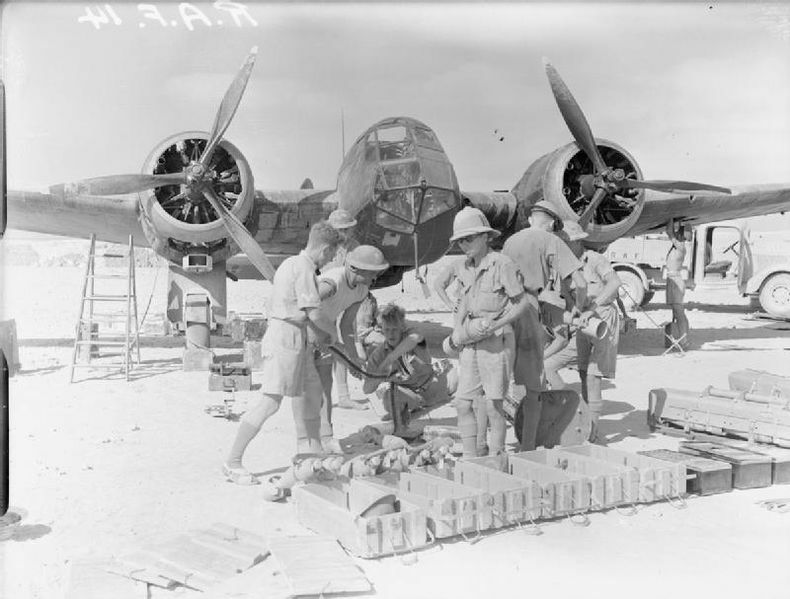 By the time Germany was able to send adequate reinforcements to North Africa, Great Britain had also reinforced Egypt. In spite of the best efforts of Hitler’s Field Marshal Erwin Rommel, his German Africa Corps, and three full corps of Italian troops, Rommel never reached the Suez Canal. When compared to the immense scale of operations on the Eastern Front, the Axis defeat in North Africa might seem less important, but their failed North Africa campaign denied the Germans the use of several of their best divisions, along with considerable resources of the overtaxed German Luftwaffe. In October of 1940, having achieved no success in North Africa, Mussolini did a huge favor for the USSR. He invaded Greece. Mussolini was certain of a rapid victory over the smaller Greek Army. The Greeks were not convinced. 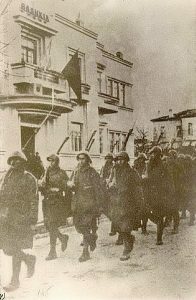 The Italian invasion turned into an Italian retreat, and the Italians were in danger of being forced out of Albania by the Greek Army and Greek partisans. Hitler was taken completely by surprise. He and his General Staff were focused on preparing Operation Barbarossa, the invasion of the USSR. They had not informed their ally Italy of their intentions. The UK and the US suspected the planned German invasion of the USSR. The Soviet Army expected the German invasion but could not convince Stalin. In fact, everyone except Stalin and Mussolini expected a German invasion of the USSR. Even when Germany moved massive amounts of men, equipment, and supplies to Poland, the Italian diplomatic and intelligence communities managed to miss what should have been obvious to them. This ignorance of Germany’s planned April 1941 invasion of the USSR, was instrumental to Mussolini’s decision to invade Greece. It was an intelligence failure that sank Mussolini’s military into dire trouble. Hitler was furious. He refused to see that he had helped Mussolini stumble into this terrible mistake by not informing him of his Operation Barbarossa. Italy plunged head first into an ill-timed operation in Greece instead of concentrating on the far more crucial campaign in North Africa. Hitler considered leaving the Italians to suffer their growing disaster in Greece on their own. However, as the Italian debacle dragged on towards the spring of 1941, Hitler decided that he had to save his Italian ally from complete defeat – not because Italy was his ally, but because Greece was no longer neutral and was now accepting aid from the UK. 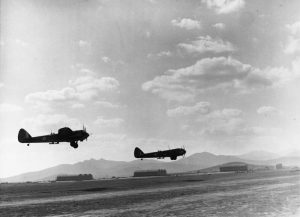 This meant that Greece had to be defeated, because if the British RAF was allowed to operate air bases in that country, their bombers would be within range of the oilfields of Romania. Without Romanian oil, the German Army would have ground to a halt in the USSR. 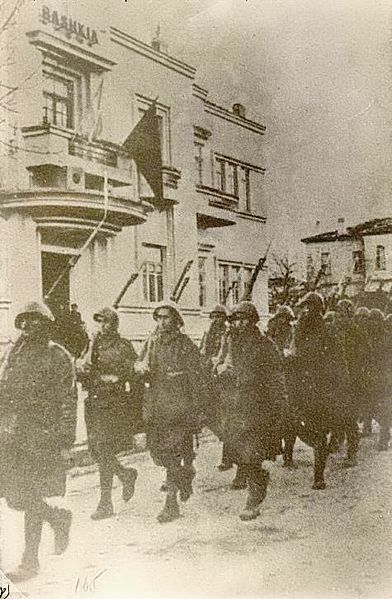 In April of 1941, Germany and Bulgaria invaded Greece. By early June, Greece was defeated. So, all well that ends well? No. It ended well, but it ended too late. By June, the German Army should have been halfway to Moscow with trucks of supplies following it on mostly dry, passable roads. The Russian road network was primitive, and the Germans could not afford to have their Army’s logistics further strangled by nearly impassable muddy roads. By the time Germany launched Operation Barbarossa, it was two months behind schedule, thanks to Mussolini’s decision to invade Greece. It was also without valuable troops and equipment that now had to occupy the previously neutral Greece. Before the German Army got close to Moscow and Stalingrad, supply problems on bad roads were limiting their armored operations. When it did get to the gates of Moscow, snow began to fall, and the German Army was without winter clothing and equipment. In the end, the vastly numerically superior Soviet Army and Soviet production defeated Hitler on the Eastern Front. However, if Operation Barbarossa had started on time, Stalin might have lost Moscow, Leningrad, and Stalingrad. He could conceivably have decided to conclude a peace treaty with Germany, and an early departure by the USSR would have been disastrous for the Western Allies. The great intelligence lesson to be learned from Italy’s failure to anticipate Operation Barbarossa: No nation should take for granted their ally’s intentions. Even friends need to watch each other. In our next installment, we will consider a great American intelligence failure in WWII. Jay, you always bring us info most of us don’t have. Thanks, and keep up the good work. Hi David. Thanks for visiting. Fascinating, Holmes. All of it, but particularly that the invasion of Greece was what had delayed Barbarossa. Thanks again for this series! Hi Justine. Glad you like it. Very interesting series, and good insight into military tactics. Hi Michelle. Thanks for the compliment. 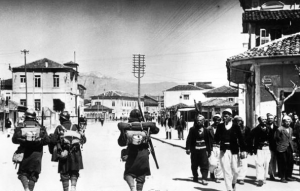 This was New Zealand’s Second World War – Balkans and North Africa! The counterfactual – that the delays to Barbarossa provoked by the German diversion into the Balkans was pivotal to the failure to take Moscow and other key centres – is compelling. Kiwi soldiers played a part in that, extending the Balkan campaign by a month via resistance on Crete, even though we’ve cudgelled ourselves ever since for not holding it. The British knew it at the time. ‘I’m glad you lost Crete,’ Admiral Sir Andrew Cunningham told Lt-Gen Sir Bernard Freyberg at a dinner just after the war. I’ve seen a ‘what if’ analysis basically suggesting that the loss of Moscow in 1941 wouldn’t have knocked the Soviets out of the war – the author portrayed it as a repeat of Napoleon’s experience. But I don’t think it’s plausible – I think the Soviets would have cracked, as you say. Hi Matthew. You Kiwis have never received the credit that you deserve for your efforts in WW2. Kiwi regiments were often tasked with the very dangerous and thankless work of “cleaning up” previously bypassed Japanese positions across the Pacific Island chains. Kiwis served in the Battle of Britain. One Kiwi in particular had a huge impact. RAF Air Marshall Sir Hugh Dowding nearly lost the critical debate concerning strategy during the Battle of Britain. If not for the support of his loyal Kiwi friend Air Vice Marshall Keith Park, he might have been forced to yield to the nonsensical air strategy being pushed by Sholto Douglas and Winston Churchill. After playing a critical role in the Battle of Britain, Park went on to successfully lead the defense of Malta. Park’s service in WW2 is all the more remarkable when we consider that he had been declared medically “unfit for service” after being wounded in the battle of The Somme in 1916. It was not until 2009, thirty-four years after Park’s death, that he received a proper commemoration in the UK. Whenever Kiwis are mentioned in reference to WW2, I always remember Keith Park. Park was an astonishing figure – my father actually met him once. There’s no question about Park’s contribution to the Battle of Britain on so many levels. Kiwis fought in most of the theatres of WW2, one way or another – a lot of us were serving with British forces, directly, as well as via NZ’s own forces.